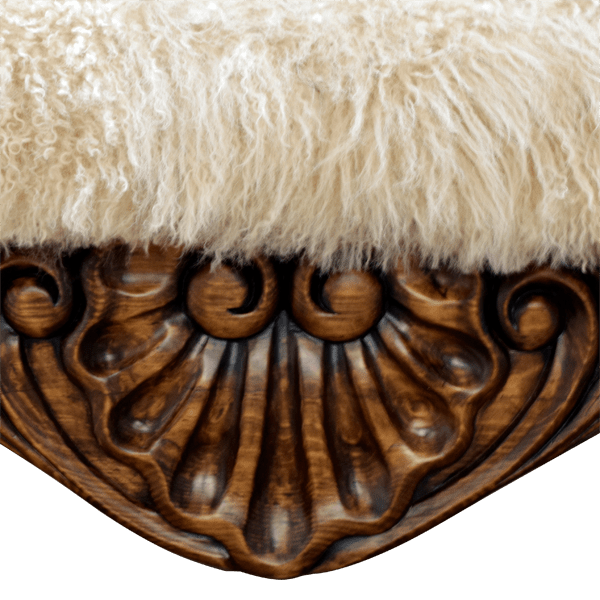 The luxurious, carved designs on this handcrafted, Western style bench were all created by hand by our skilled craftsmen. The front of the bench has a beautiful, front apron with a curved, Spanish colonial style design. Centered in the apron is an exquisite, hand carved shell, with hand carved, floral designs on each side. The floral designs are repeated on the lateral sides of the bench. 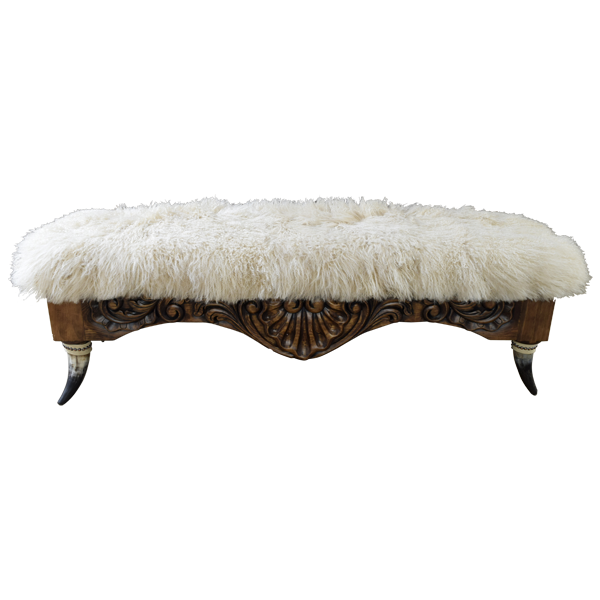 Designed without a back, the well padded seat is upholstered with fabulous, Tibetan wool. 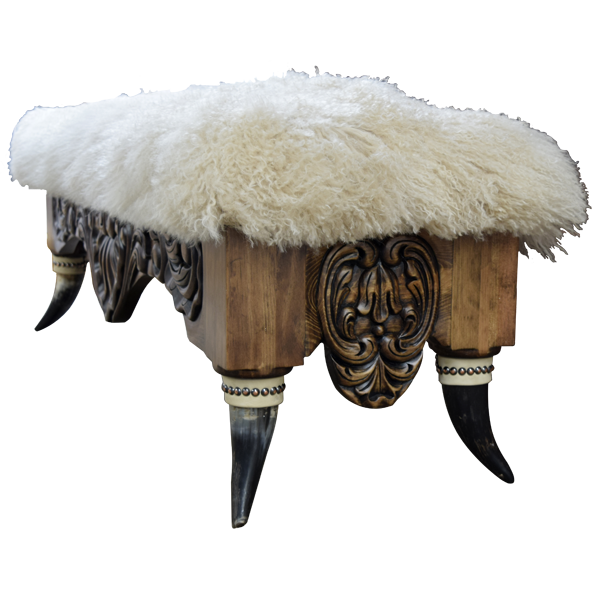 The bench rest on sturdy, inverted, steer horn supports, and the hilt of each horn is adorned with a white finished, leather strap hand tacked with decorative, gilt nails. It has an antique finish, and it is made with the best, sustainable, solid wood available. The bench is 100% customizable.